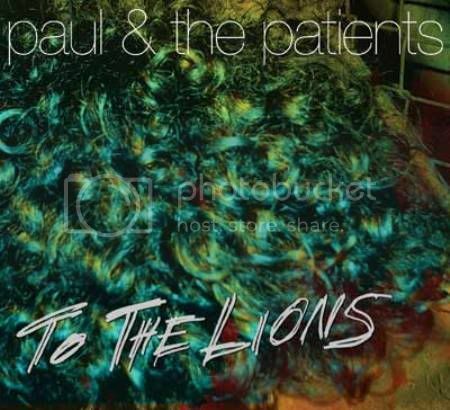 NEW MUSIC FROM BROOKLYN: To The Lions is the debut EP from Paul and the Patients, another incredibly fresh project to come out of indie-hot bed Brooklyn. A quick recap: There was the buzz around TV On The Radio’s 2008 release, Dear Science, which found itself at the top of a number of Album-of-the-Year lists. Then there’s been the increasing leakage of music from Grizzly Bear’s Veckatimest (released May 26th on Warp Records) and The Dirty Projectors’ Bitte Orca (set to be released tomorrow on Domino Records). It's quite a list. Paul & the Patients should not get lost in the mix! Driven by full, upbeat guitars, To The Lions offers listeners five intelligent, emotionally complex songs that refuse to pull any punches; they deal with everything from boredom, to broken relationships, to cultural excess, to blog-influenced standards of cool. MORE THAN JUST GUITAR DRIVEN ROCK: Paul Holmes’ vocals lend a compelling warmth to these songs that often pulls the listener back as soon as he or she begins to worry about falling into something overly dark. There is also a palpable exertion in Holmes’ voice (especially in “Complaint 15” and “Black Beards”) that at other times keeps the five songs on the EP from feeling too poppy. Other electro-pop and power-pop bands might have mishandled these songs that owe so much of their appeal and cohesion to synths and sharp, catchy riffs. Holmes and the rest of the Patients—Dave Greenwald (Drums), Jay McBride (Guitar), Pete Swan (Bass), and Josh Ascalon (Synths, Vocals)—always find a way of balancing out the dark and light shades of their music, so that they end up with something that can catch the listener off guard. SPEAKING OF BLOGS: The third song on the EP has a noteworthy name: "Blogspot." The elements that make up Paul and the Patients’sound (a standout electric guitar riff, full and warm bass, propulsive rhythm guitar, 80’s-style synths, brooding yet vulnerable vocals) take turns filling out this song. They almost struggle to all come together simultaneously, recreating something like the push and pull of today’s blogger culture: the instant and ubiquitous decrees of what’s hip, the scathing reviews of bands that move past what made them hip (read Nick Parker’s look at this phenomenon with the Yeah Yeah Yeahs), and the un-mastered leaks of albums before the artists can release their songs in the finished form and set order that they intended. Paul and the Patients recognize the historical moment of which they are a part, but still they find ways to set their music apart from everything else around them. 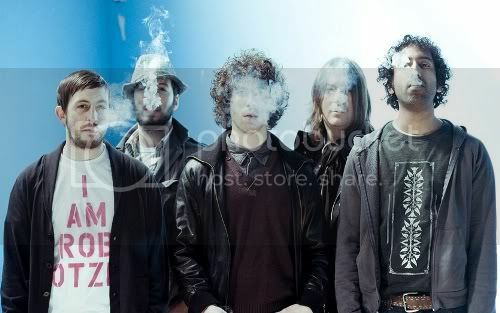 To the Lions by Paul and the Patients is available now through American Myth Recordings and iTunes. We suggest you add them to your music library today!